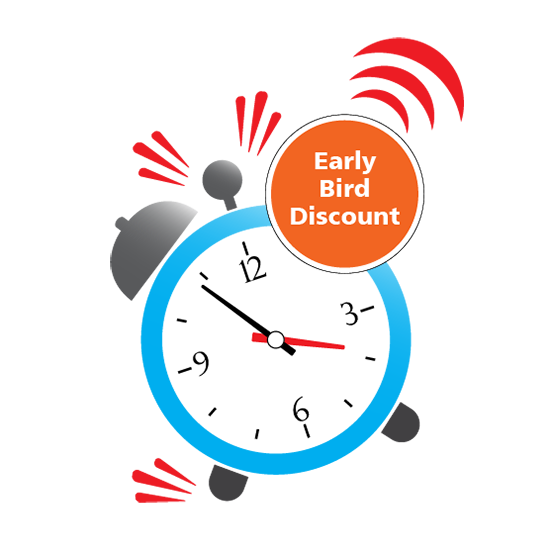 Don't Miss Early Bird Rates for Proclaim 19; Register by December 31 to Save Up to $200! - NRB.org NRB :: Don't Miss Early Bird Rates for Proclaim 19; Register by December 31 to Save Up to $200! HOME > NEWSROOM > ARTICLES > NRB TODAY ARTICLES > Don't Miss Early Bird Rates for Proclaim 19; Register by December 31 to Save Up to $200! So head over to the registration page and sign up now! The time to get the best price possible is quickly running out. Why should you register and attend? In short, the Convention is a strategic, one-stop venue for new media insights, connections, and opportunities. It’s the only event where thousands of Christian communicators are gathered and hundreds of the world’s leading Christian ministries and media organizations are represented. The Convention provides networking opportunities like no other. And next year, at Proclaim 19, we will celebrate the 75th anniversary of National Religious Broadcasters. What’s more, the Convention has dozens of speakers, including Greg Laurie, John MacArthur, Charles Stanley, Joni Eareckson Tada, DeVon Franklin, Mike Lindell, Jon and Andy Erwin, and many more. The emcees of the Convention will be twin brothers, authors, and entrepreneurs David and Jason Benham.